When Yvonne Assenheimer and Izzy Superczynski, sanitation workers for the DSNY (New York City’s Department of Sanitation), accidentally disrupt a surveillance operation, they end up being mistaken for two super spies and promptly offered to join the highly secretive agency behind the operation. Before long, Yvonne and Izzy find themselves facing double agents, triple agents and one very lethal, highly classified drones program. But when the missiles start raining down around them, they buckle down and show America’s enemies that nobody messes with two highly motivated garbagewomen. 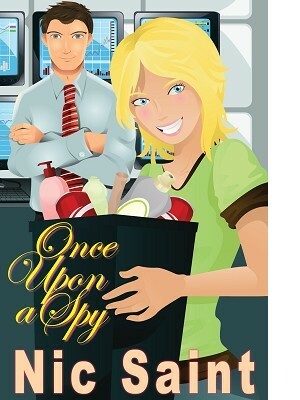 Once Upon a Spy is a humorous cozy mystery with a whiff of romance, a sprinkling of mayhem and heaps of fun.